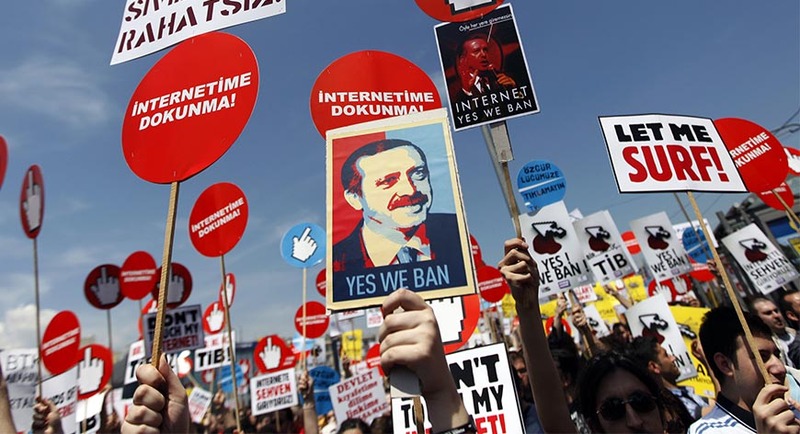 Turkey’s Justice Ministry and the Turkish Telecommunications Authority (BTK) have been unable to respond to a question about the number of online news sites that have been censored over the past two years, according to a story on the Bianet news portal on Friday. The BTK left the question unanswered, saying that it does not have the answer and that the issue requiresspecial examination, while the Justice Ministry has refused to answer the question, saying that it is not within the scope of the Right to Information law. The Turkish government closed down hundreds of media outlets and news websites in the aftermath of a failed coup attempt on July 15. It is under heavy criticism for severely violating freedom of the press and freedom of expression under the pretext of punishing coup plotters and supporters.